The seventh book in the ”Diving” universe science fiction series. Just like the other books in the series, this one is also made up of several novellas, among them Dix and two set in Coop’s and Yash’s pasts. 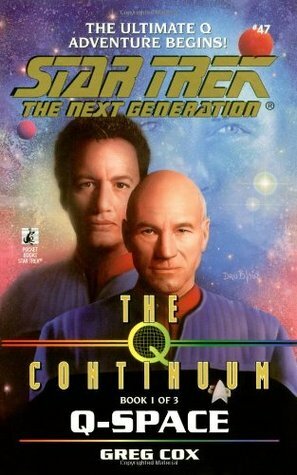 When starship Ivoire jumped into fold space and was stranded 5000 years into the future, Captain Jonathan “Coop” Cooper and engineer Yash Zarlengo were just two of it’s crew. Some of the crew left but most are working for the Lost Souls Corporation which tried to find out what happened to the Fleet that the Ivoire was part of. In the previous novella “Runabout”, Yash got a lot of data and she’s returned to the Corporation’s headquarters to analyze it. Five years ago Coop’s second in command, Dix Pompiono, was desperate to return to his own time. When he finally realizes that that’s not likely to happen, ever, he kills himself. Yash strongly suspects that he also tampered with the ship’s very dangerous anacapa drive. Coop evacuates the ship and they start to work, looking for any clues. In the ”present” time, Coop and Yash analyze the data from the runabout with single-minded obsession. Eventually, they get clues to another base. The book also has two long flashbacks, individual novellas, about Coop’s and Yash’s past. Coop’s section (Lieutenant Tightass) is his first assignment on a dignity class vessel, which tries to save other DV vessels which have vanished. The captain seems to be lax and so is her crew. Yash’s flashback (Advanced Anacapa Theory) happens during her time at school when she’s learning to fix anacapa drives. Many of the threads in the previous books lead here: what Coop and Yash find. Unfortunately, I didn’t really care for the flashbacks and the search wasn’t that interesting but things picked up near the end. I guess I should’ve relistened the previous books so that they would be fresh in my mind. Coop and Yash are the POV characters and Boss is only mentioned a couple of times. To my surprise, I didn’t really miss Boss. Of course, the previous books also didn’t have Boss because they’re set in different time periods. We don’t get all the answers in this book, indeed we get some more questions about the present. A very good addition to the series and I’m intrigued to know what happens next. 1. 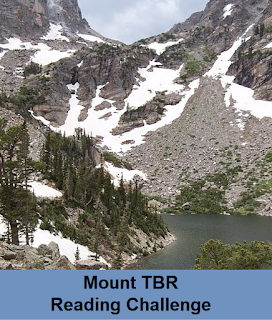 Tell us how many miles you made it up your mountain (# of books read). If you’ve planted your flag on the peak, then tell us, take a selfie, and celebrate (and wave!). Even if you were especially athletic and have been sitting atop your mountain for months, please check back in and remind us how quickly you sprinted up that trail. And feel free to tell us about any particularly exciting book adventures you’ve had along the way. Set on an alien planet where the original inhabitants are telepathic. A new author and series for me. I will continue with it. Another wonderful short story collection. This one focuses on steampunk and magic. 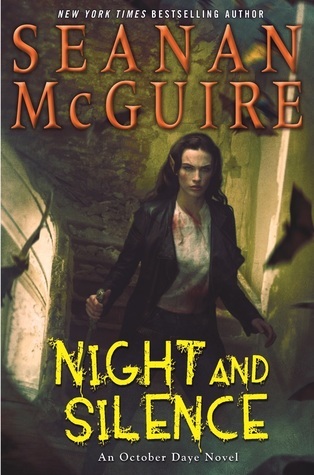 Books two and three in a fantasy trilogy which is essentially Ocean’s 11 in a fantasy world. 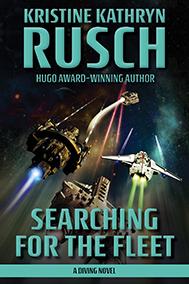 The second book in the excellent Expanse science fiction series. And of course N. K. Jemisin: The Stone Sky which is an excellent ending to a great (if grim) series. I gave it full five stars. Thanks very much for hosting, Bev! I’m joining the challenge again in 2019 because I still have lots of books on my shelves. 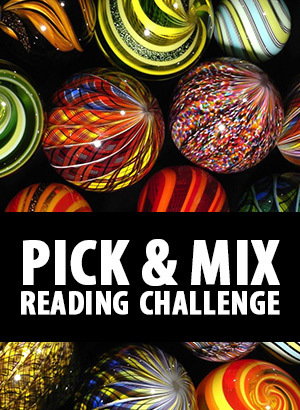 Here’s the post where I gather links to all books, novellas, and comics I’ll read 2019. And a challenge summary. A prose novel with Avengers characters and many of their enemies. This is a stand-alone novel. 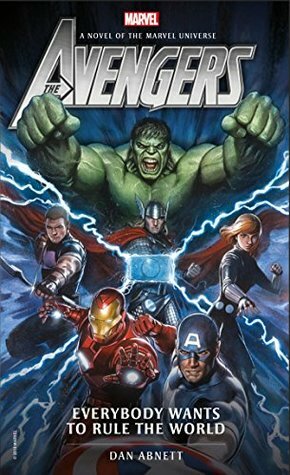 The cover hints that these are the movie Avengers. While the five Avengers from the first movie are indeed the prominent characters, later joined by the Vision and the Scarlet Witch, there are a couple of hints that they’re actually the comic book characters. Specifically, Wanda is referred to as a veteran Avenger and her powers aren’t the movie powers but the mix of hex and magic she uses in the comics. Also, some of the villains are clearly their comic book versions, not the movie versions. The writing style assumes that the reader is already familiar with the characters, their backgrounds and powers; they’re not introduced at all. Instead, we’re plunged straight into action with every character. Captain America is fighting Baron Wolfgang from Strucker (with his Satan’s Claw not seen in the movies) and Hydra in Berlin. He’s assisted by S.H.I.E.L.D. agents and resources. At the same time, Hawkeye and Black Widow have just arrived to Savage Land where A.I.M. is doing something big. Our heroes must survive the Savage Land dinosaurs and then infiltrate the A.I.M. base. Meanwhile, Tony Stark is dealing with Ultron’s attack in Washington DC. Ultron has managed to jam communications, so the Avengers can’t communicate with each other and nobody else can communicate, either. Thor is in Siberia trying to deal with a magical attack and S.H.I.E.L.D has called Bruce Banner into Madripool as an expert scientist rather than as the Hulk. Each group is on their own because of the communications blackout and dealing with a major threat to the world. However, the villains haven’t coordinated their attack with each other so they’re somewhat at a disadvantage. Of course, something even more sinister is going on. The POVs of the book are all from the Avengers so we don’t see the enemies POV. Each chapter follows one hero or a group of heroes and is full of action. In that way, it’s similar to many comics. However, I think that some chapters are more blood-thirsty than comics, where the heroes go out of their way to avoid killing anyone. Here, Natasha and Clint kill many A.I.M. minions. If you know the Avengers and are a fan of the comics, I recommend reading this. However, don’t expect anything deeper or any character development. A very entertaining and action-packed book.